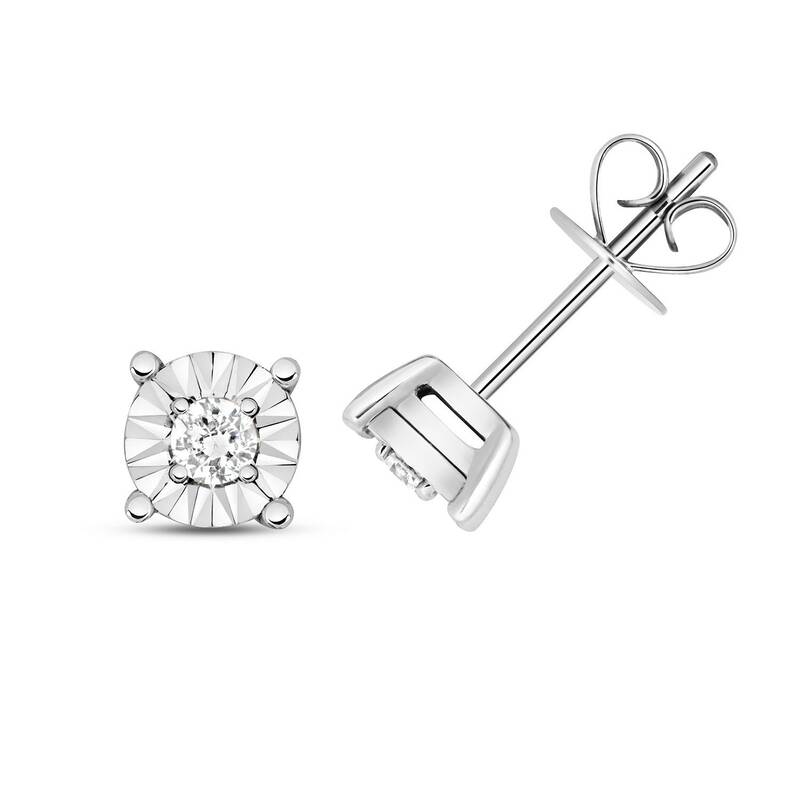 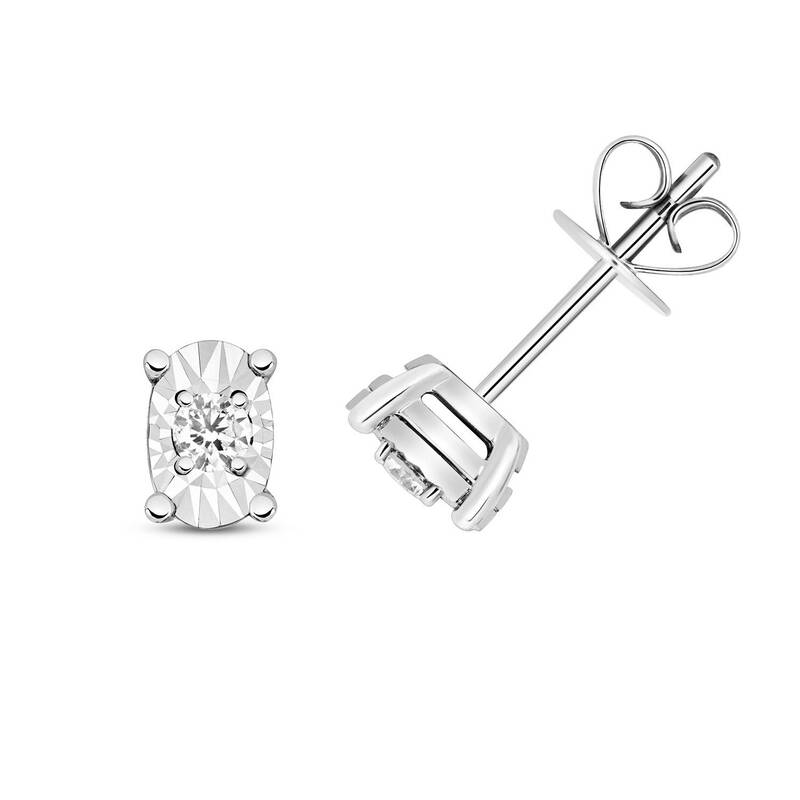 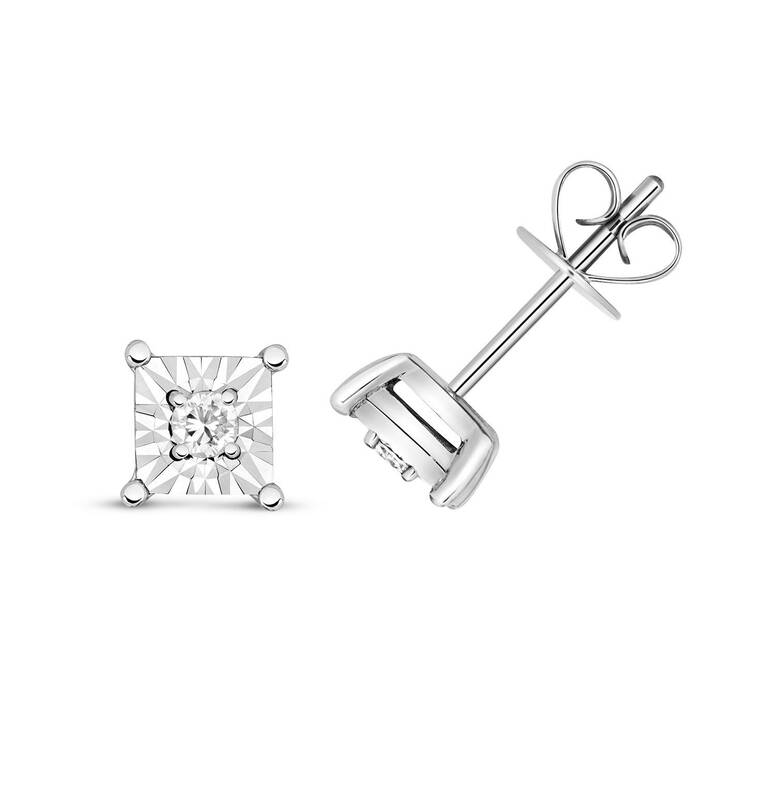 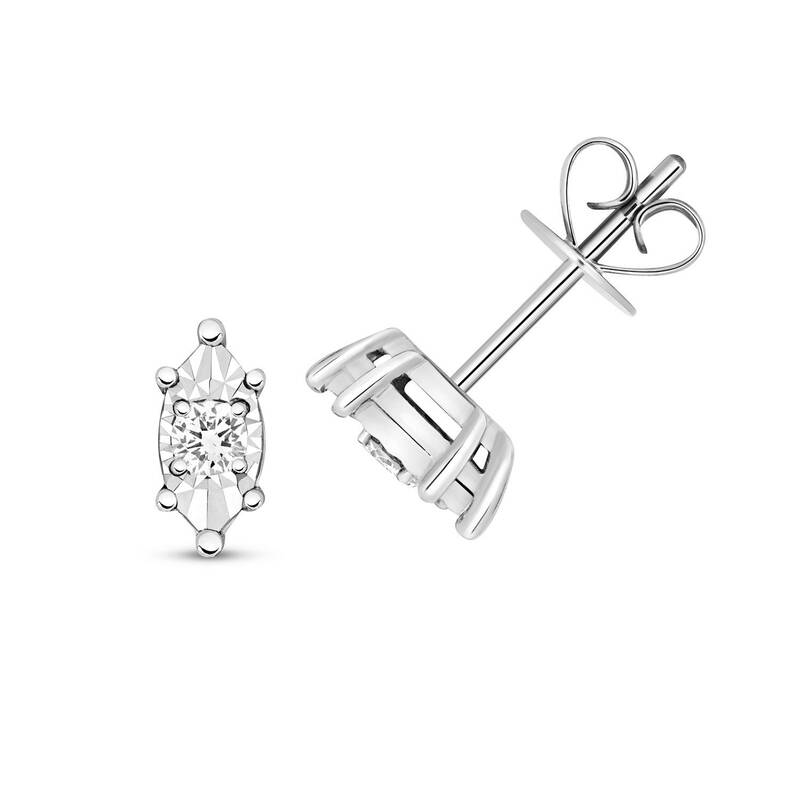 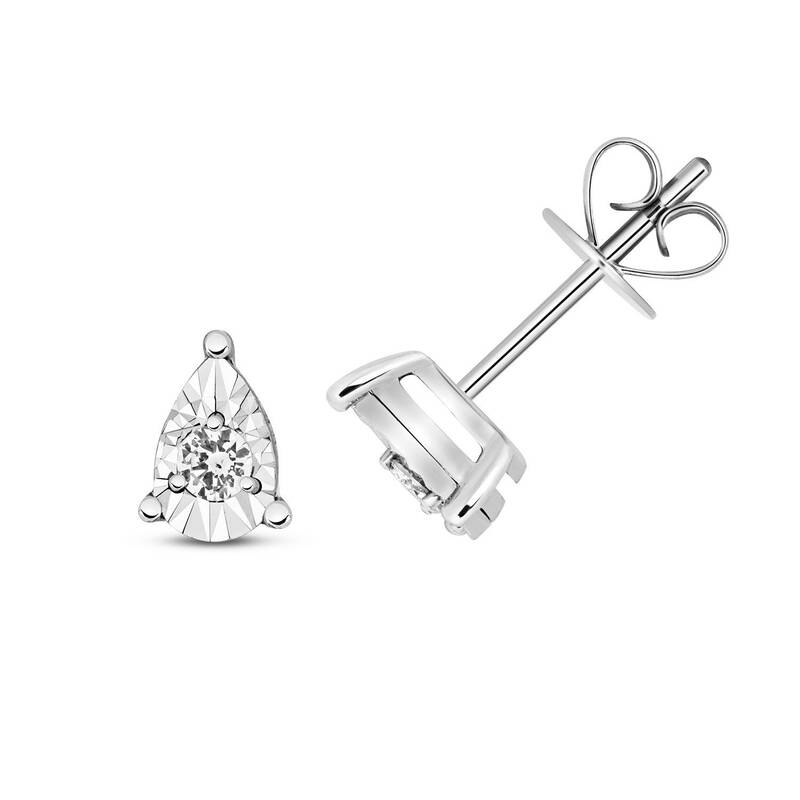 A dainty pair of 9ct white gold illusion set brilliant round diamond stud earrings. 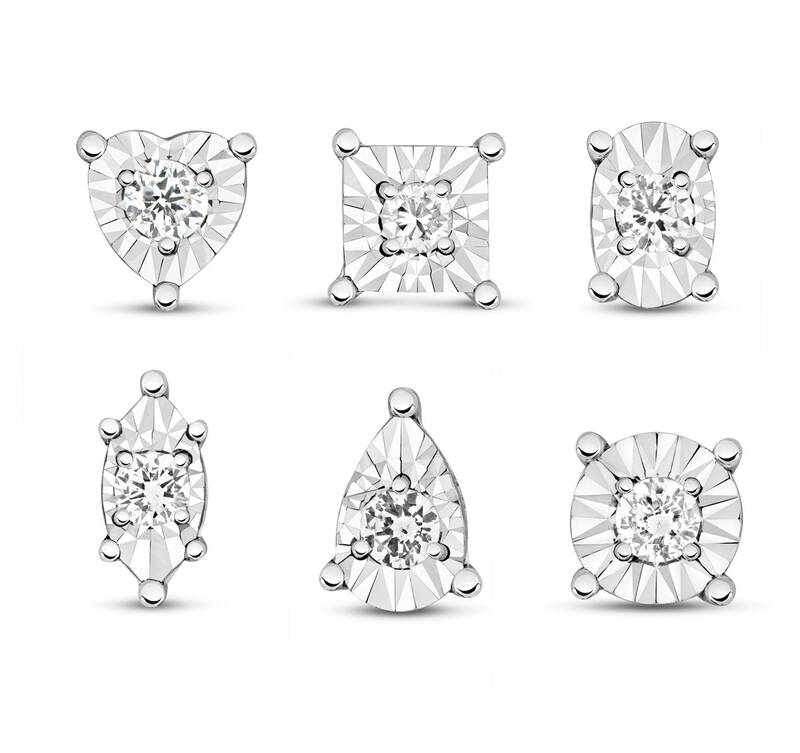 Choose from: hearts, square, oval, marquise, pear and round shape. 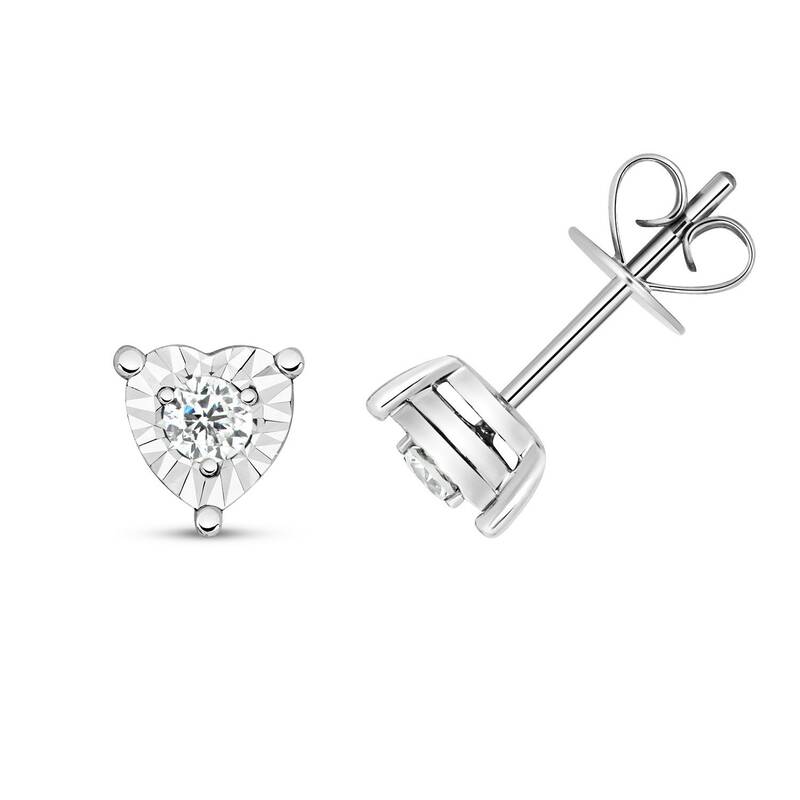 Your jewel is presented in an elegant gift box.